It was a hot summer day. The dust from the dry ground had found its wings in the wind. 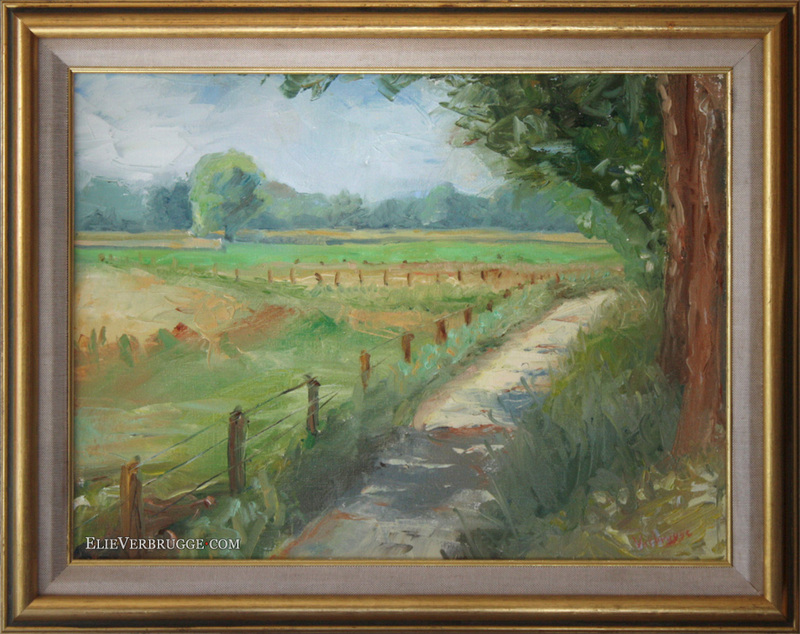 Fading away in the distance is the tree line along the banks of the river Scheldt. Warm dirt odeurs filled the air, travelling on a soothing breeze. Caressing the hairs on your wet neck. 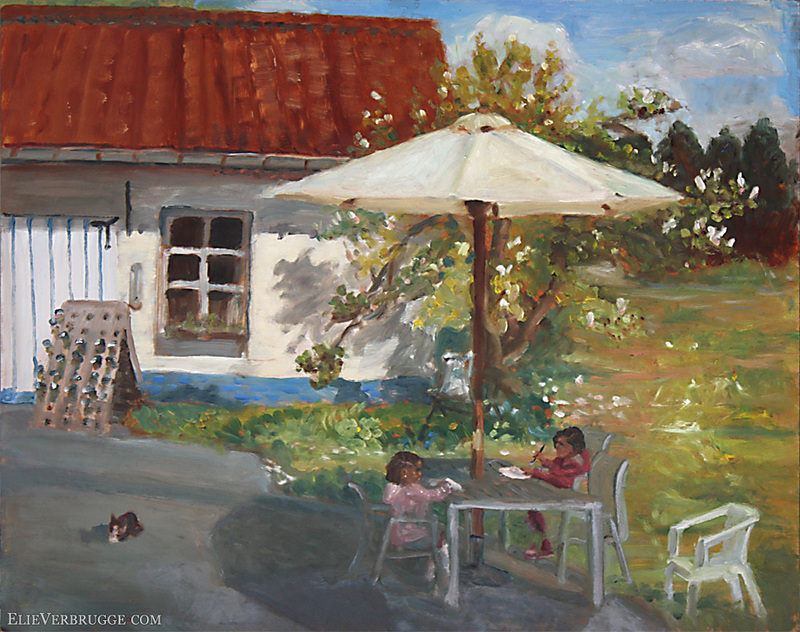 Plein air painting of the garden at my parents place, with the children of my sister eagerly painting along during 3 consecutive days. I am happy about the results in contrast and the fine details of my nieces. A life drawing and painting session organised under friends. The model Stien was kind enough to model quite long poses for us while watching discovery channel. 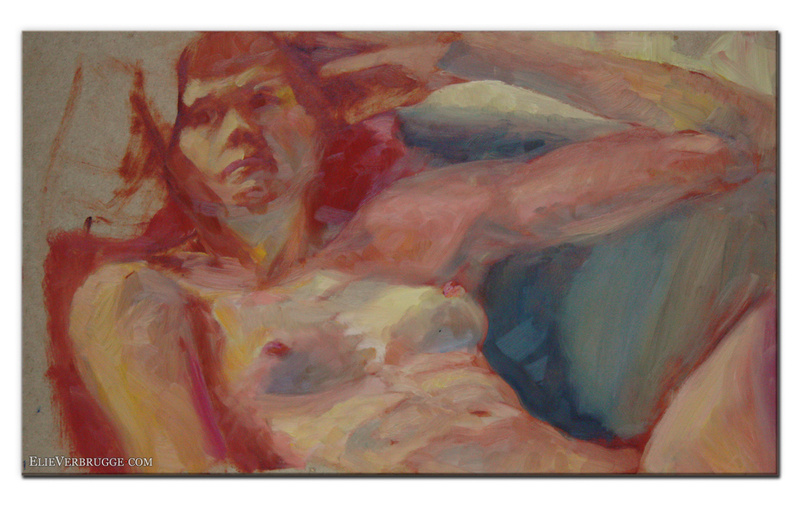 It was the first time I painted a model from life with oils. It was hard and there is not much time to waste, but I must say it turned out better than expected! 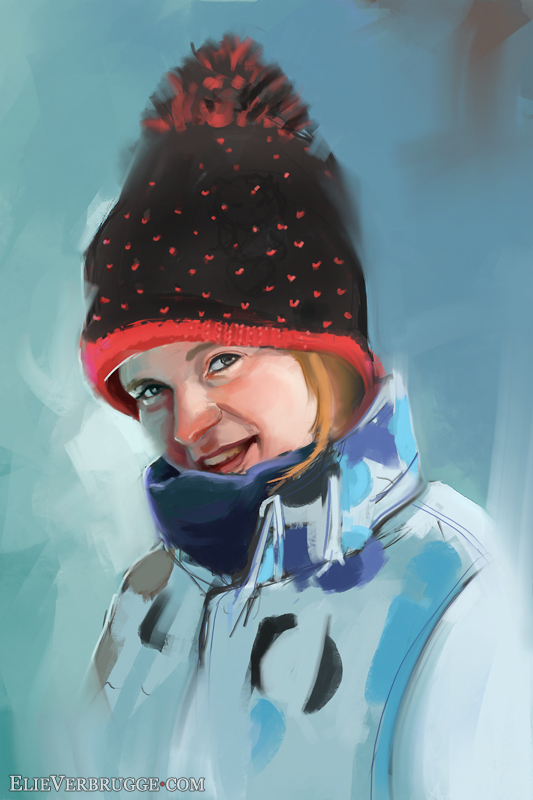 Digital painting of my girlfriend Sofie with her winter cap after a photo. 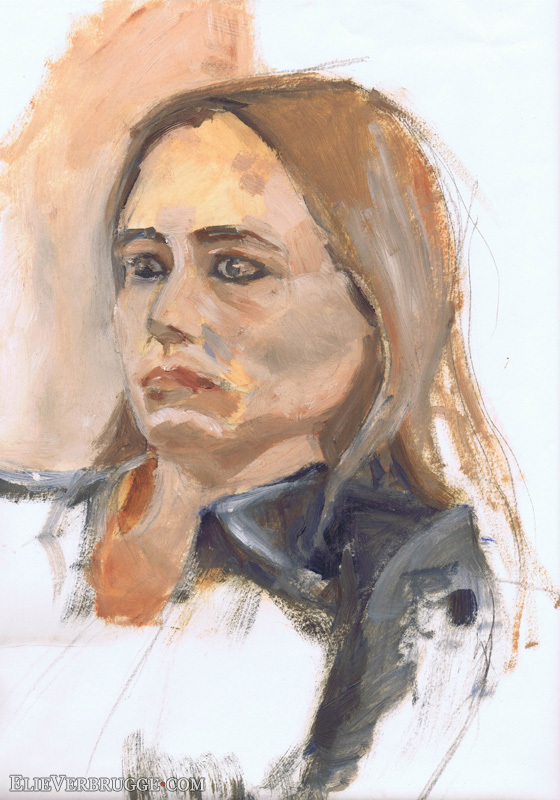 This is a big level-up for me, both in drawing, likeness, focus, colours and edges. I used to think painting from a photo is kind of missing the point. 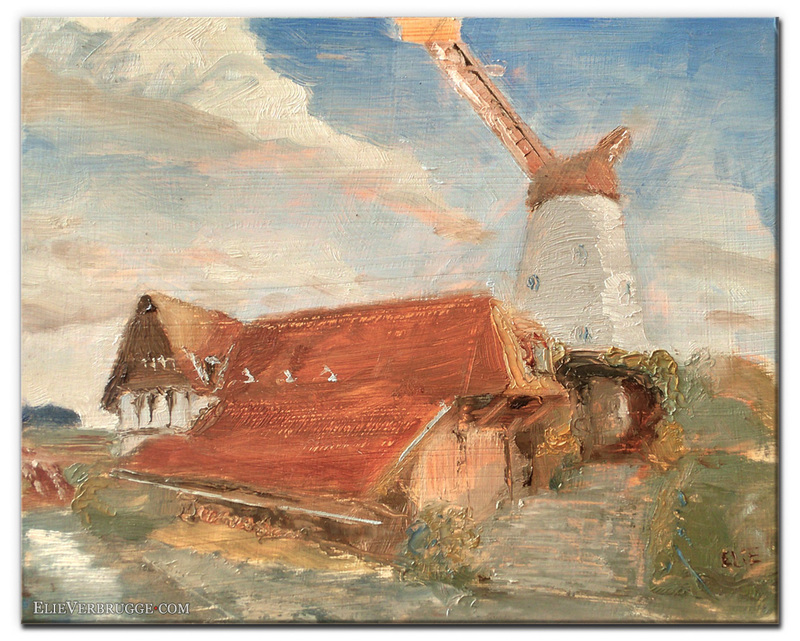 Now I realise the added value a painting from a photo can bring to it, but only if it is not copied directly. Rather used as reference for a more deliberate picture of the subject. 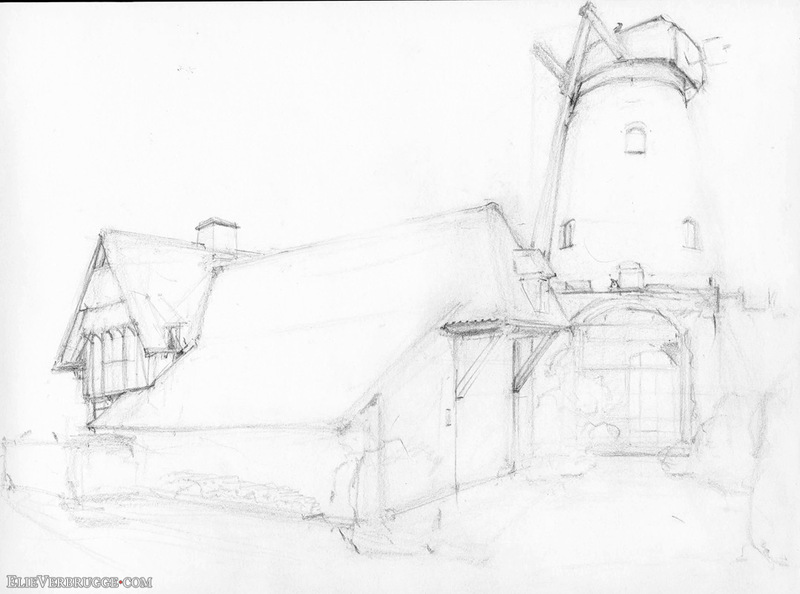 Call it a form of photo-manipulation, even if it is drawn from scratch. A good lesson and experience.